The circumstances surrounding the death of Davido’s friends, DJ Olu and Chime remains mysterious but the police are currently investigating the case to find out the truth of the matter. While the official investigation is ongoing, an uncle to late DJ Olu recently made a claim that his nephew may have died of carbon monoxide poisoning. 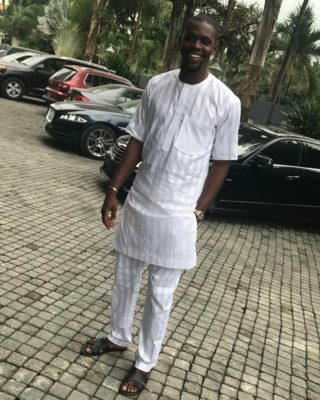 The uncle of the late DJ Olu, whose name is Okeowo Olasubomi, said that the public should ignore insinuations being reported about the deceased. In his statement he claimed that his nephew may have died of carbon monoxide (from exhaust fumes) poisoning, adding that the public should allow him rest in peace. He further said that the Lagos state police commissioner Edgar Imohimi should have refrained from making statements before the release of an official autopsy report. Imohimi had earlier said that substances suspected to be drugs were found in the deceased’s car. Olasubomi however made it clear that he suspects foul play from “detractors and enemies” of the DJ’s father, Dapo Abiodun, who is a politician and oil magnate. In reaction to the to Punch news release. My name is Okeowo Olasubomi, and I am a relation to Gbemiga Abiodun. Gbemiga Abiodun’s dad (Dapo Abiodun) practically raised me (Okeowo Subomi) from being a boy into full adulthood. I lived with the family in Lagos and in London for several years. In reaction to the rumours making rounds, we appeal to the public to ignore any negative insinuation about our darling son, brother and nephew Oluwagbemiga Abiodun, and we plead that the public allow the dead Rest in Peace. We plead that the public should let the family grieve in peace at this time of their great loss. As Gbemiga’s uncle, I knew him from childbirth. He has always been a good kid who had a great positive outlook to life. He had just gained admission into the University to begin his Master’s programme in the UK and was to resume school Monday penultimate to his death. We hung out several times at the night club and DJ Olu was never drunk nor has he ever behaved in an unruly manner once since he became a matured man. He never smoke nor drank. He looked healthy and composed and ate well at all times. His dad Dapo Abiodun was very strict with him and never indulged him. Infact, Dapo Abiodun was strict with all of us. Gbemiga was an entrepreneur who traded cars and builds customized armored cars himself. No drug addict can do that with such business acumen and strict co-ordination. The Police Commissioner should have waited for a certified autopsy report before issuing statements about the dead and our family. He had full proper parental upbringing. He was at home the night of his death, and he couldn’t have been doing drugs in his car in his own home. He won several business contracts to himself without his dad’s influence which made good profits for him. Gbemiga’s dad is a frontline politician and successful business magnate, so i suspect foul play from detractors and enemies. Gbemiga’s dad never condoned indiscipline from his kids and all of us. Gbemiga’s mum chided him always and she is a very strict Christian who discipline her kids also.